> Гравировка и напыление>Наборы из 12 предметов>Set 12 pr. (6 glasses 190 ml. + 6 glasses 60 ml.) Engraving + spraying "Inspiration"
Set 12 pr. (6 glasses 190 ml. + 6 glasses 60 ml.) 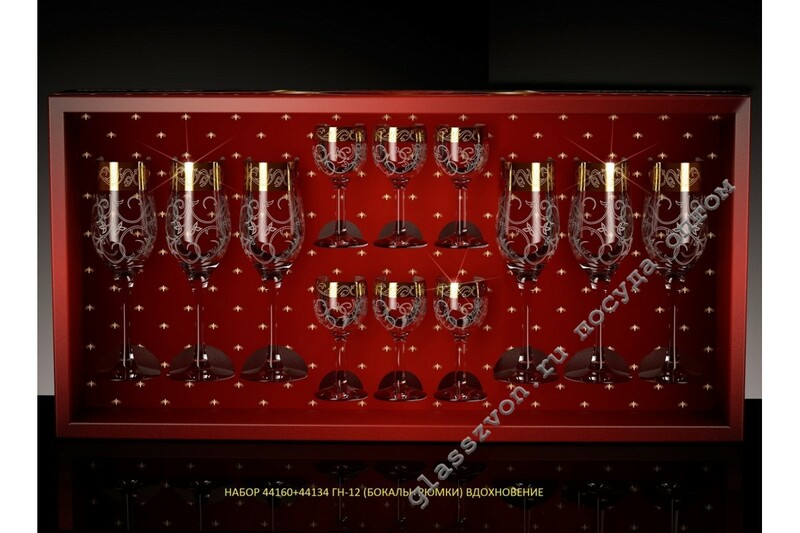 Engraving + spraying "Inspiration"
"The elegant set includes glasses and glasses with original floral engraving and gold plating. With its ornamentation and spraying, these dishes really inspire, as the name implies. The combination of engraving and spraying a set of 12 stacks represents a stylish and elegant solution, guaranteeing the high demand and popularity of the presented products among a wide audience of buyers. 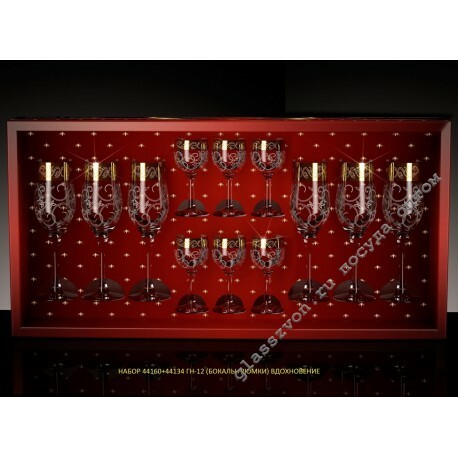 Purchasing gift items sets of dishes in bulk , you are profitable to invest in quality, attractive for buyers goods, receiving a stable profit from sales. "